Your local timber conservatory specialists. Welcome to O.G Conservatory Maintenance, specialists in repairing and upgrading all makes of bespoke timber conservatories and orangeries. Stephen George has over twenty eight years of experience in designing, installing, repairing, and refurbishing hardwood conservatories. We take great pride in offering the highest standards of workmanship and are committed in providing you with the most cost effective solutions in repairing and maintaining your conservatory. 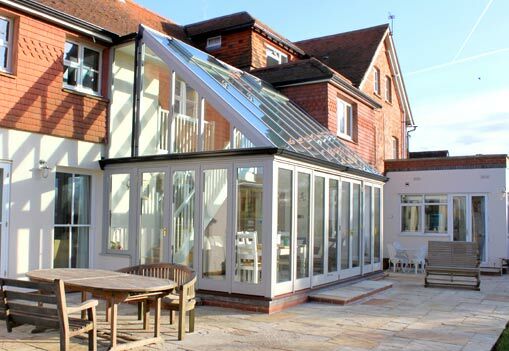 We are based in Reading, Berkshire but work throughout the South East offering conservatory repair and maintenance services throughout Berkshire, Oxfordshire, Hampshire, Surrey, Sussex, Buckinghamshire, Wiltshire and London. Before speaking to Steve we had not considered restoration of our wooden conservatory as an option and thought we were looking at a costly replacement, so we were very pleased to find O.G Conservatory Maintenance could refurbish it to such a high standard, making it look like new at less than half the cost. Completed on time with minimum upheaval. We are very satisfied customers!